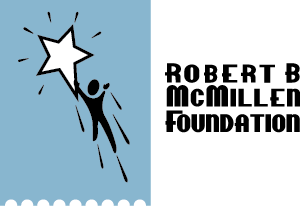 We at the Robert B. McMillen Foundation pride ourselves on researching and connecting with organizations that most closely match our mission and vision. As such, we do not accept unsolicited proposals. However, if you’ve thoroughly reviewed our website, determined that your organization meets the basic eligibility criteria, and feel your organization would be a good match for the Foundation then we’d be happy to hear from you. Please complete the letter of introduction by clicking on the link below. The Foundation receives many letters of introduction; you will therefore not receive a personal response. The information submitted will be reviewed by a staff member of the Foundation to determine whether or not your organization is a good match for our funding priorities. All organizations will be notified of the outcome of the review and next steps where appropriate.